Delivering color and high-resolution options, IP67 rating for rugged applications, and an increased performance using Intel’s Atom processor, National Instruments’ NI 177x NI Smart Camera family has been expanded with seven new models. Additionally, they have a real-time operating system to deliver the reliability and determinism needed on a production floor. Delivering processing speeds four times greater than other NI Smart Cameras, they also add new sensor options, including VGA, 1.3 MP and 2 MP in color and monochrome as well as 5 MP in monochrome. The new sensor options make the cameras well suited for applications that require higher resolution image acquisition such as metrology and detection of small defects as well as color imaging such as LED validation for electronics. Enclosed in a strong mechanical housing with M12 connectors and lens cover, the cameras are dust- and water-resistant and suitable for environments with washdowns. They include four digital input and four digital output lines and support several industrial communication protocols including RS232 (Serial, Modbus serial) and Ethernet (TCP/IP, Ethernet/IPModbus TCP). 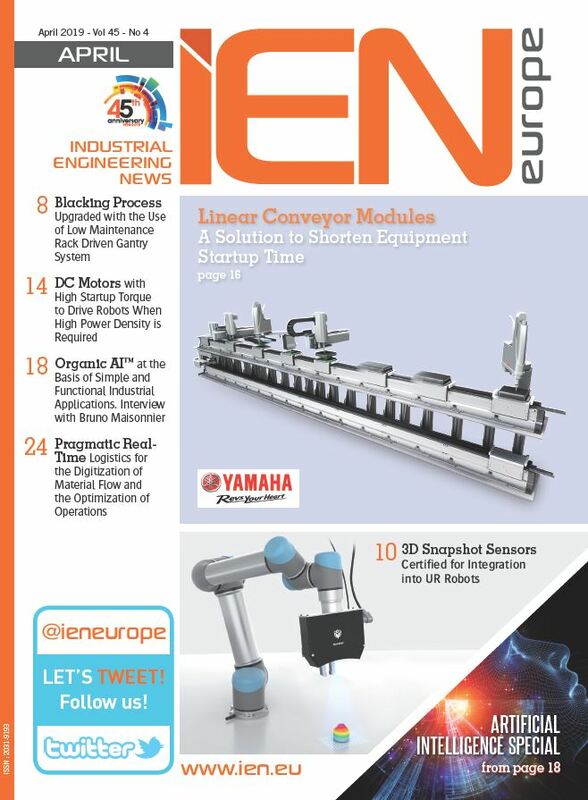 Using the signals generated from these networks, engineers can dynamically control lighting or cameras, synchronize with a conveyor belt, drive mechanisms for sorting parts or integrate the smart cameras with programmable logic controllers. The cameras also include a VGA video out connection for monitoring inspection images. The smart cameras are shipped with NI Vision Builder for Automated Inspection (AI) 2011 software, a menu-driven, interactive environment for configuring, benchmarking and deploying vision systems. Engineers can use the software to configure the camera, create custom user interfaces, acquire images, set up triggering and lighting, perform image processing steps and communicate results through I/O or industrial communication networks. The cameras also can be programmed using NI LabVIEW graphical programming and the NI Vision Development Module for advanced customization and integration with other National Instruments hardware. 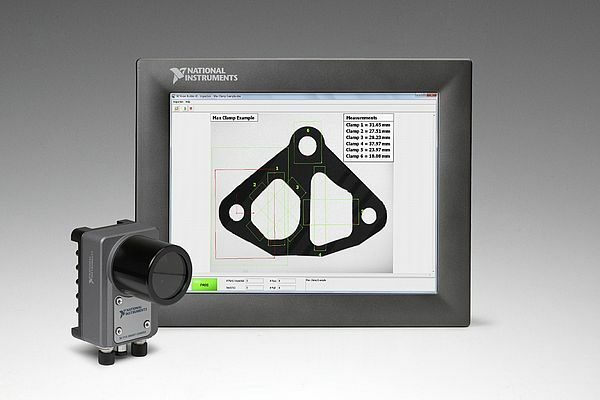 Features introduced with the 2011 versions of Vision Builder AI and the NI Vision Development Module include new calibration tools with improved accuracy and the ability to save single camera calibration parameters for easy reuse; stronger data matrix decoding; morphological reconstruction; structural similarity (SSIM) index for video quality analysis; and new calipher algorithm feature for metrology.